Hey there amigos! Its Day three and the ideas are still going strong! Today mani was inspired by a wrapping paper I saw on a Christmas Blog post which I was searching through the never ending Pinterest with a cup of coffee this weekend! Mentioning of coffee that sounds so good! So for this look it seemed like I used a boat load of polishes! Ha, but I did keep it all in the same brand to make it easy for me and you actually. Ya know I only had to open 2 boxes and wallah, all of the colors I needed! All of which were by Serendipity Nail Polish. Names coming shortly. Lets first see the inspiration! Here is a look at the nails with the inspiration! Not quite a match but the concept is there! :) I found this fun wrapping paper on The Lovely Drawer blog here. Then I found the Instagram here. Which might I mention is gorgeous! I love follow accounts that are pretty. Weird, I know but Instagram goals right? Haha! Now for this mani I used a smoosh technique but I did it with a plastic bag and eh, I've had better results but.... Its kind of fun! Ok now to that long list of polishes. Well that is it for today. I hope you have enjoyed this post and this wonky looking mani! I am still again so excited to see everyones manis! 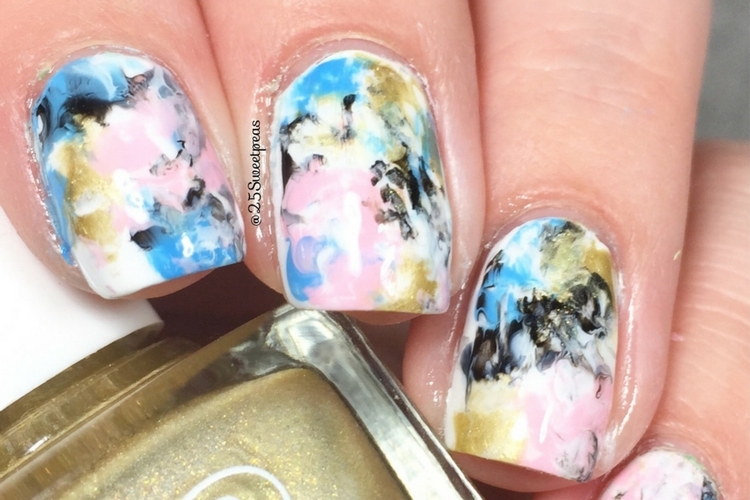 I mean that 3D unicorn mani earlier this week was quite inventive! Ooooh, I love that wrapping paper! It's so cool and your mani to match is amazing! Thank you so much! I wasn't overly happy with the mani so the fact you think they match enough is good! It is really neat! I had some one time that was light pink, light green and gold that was neat! 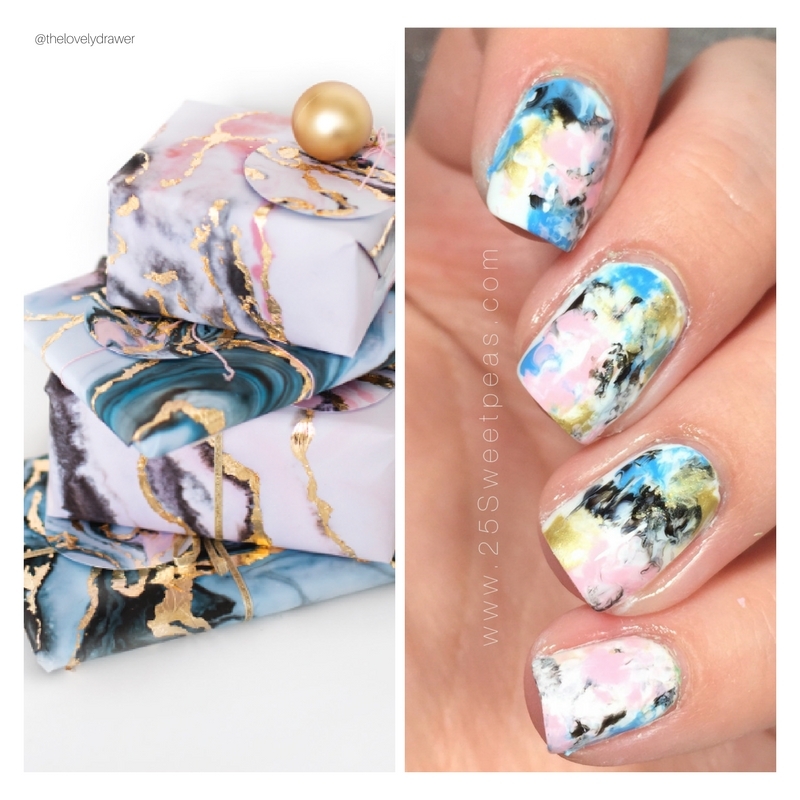 OK I need both the nails ánd the wrapping paper, for sure! Hehe! Thanks! That paper is really neat right! These are gorgeous, I really really REALLY like the colours you used! Thank you! I thought it was a fun combo!